GBP is acting stronger against the weak USD and today GBPUSD is only under the influence of the construction PMI data from the UK. 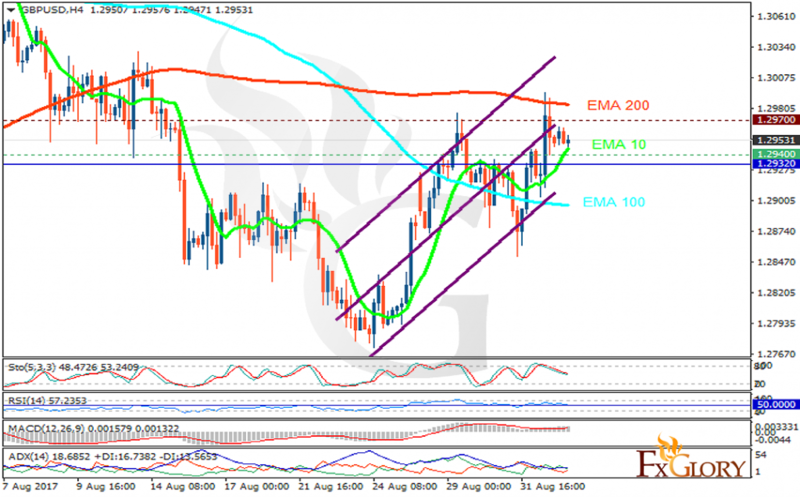 The support rests at 1.29400 with resistance at 1.29700 which both lines are above the weekly pivot point at 1.29320. The EMA of 10 is moving with bullish bias along the ascendant channel and it is below the EMA of 200 and above the EMA of 100. The RSI is moving on the 50 level, the Stochastic is showing downward momentum and MACD indicator is in positive territory. The ADX is not showing any clear signals. Long positions are recommended towards 1.30 area.